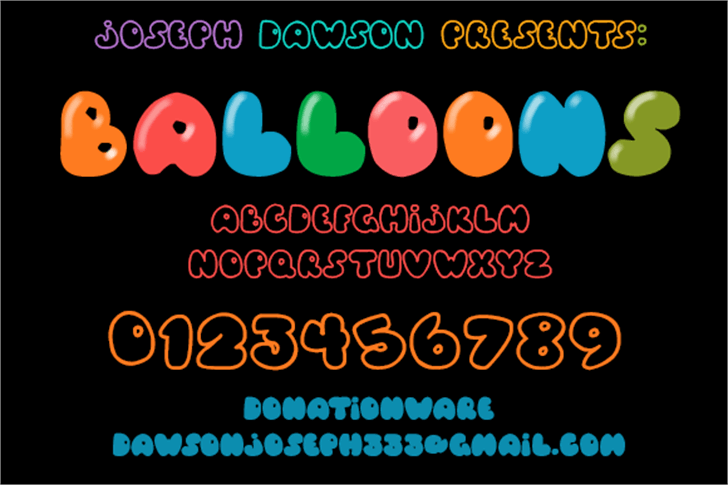 Home / Joseph Dawson / Balloons! This font was created by Joseph Dawson. It is free to use for personal use only ... although donations are appreciated! Kindly give as much as you honestly feel the font is worth to you. For commercial use you must pay $10 USD.